Ever since customers began to engage with brands online, the demand and expectations of bricks and mortar brands began to change. And with advancements in AV solutions such as Digital signage networks – brands have the tools to step up to customer expectations faster than ever before. In this article, we take you through all you need to know about digital signage solutions to help improve and amplify your marketing efforts. Whether it’s the technology, creative concepts, management or 24/7 maintenance support you need – get to know how to deliver a wow-worthy instore experience that helps elevate your brand and ultimately deliver sales. With 42% of customers stating a preference for stores with video displays, brands not integrating digital signage as part of their in-store strategy are missing the opportunity to tell their brand story in a timely and relevant environment. Brands that have embraced digital signage use it for a variety of marketing applications from branding, promotions to in-store merchandising. It helps improve the overall customer experience, enabling browsing time and spend. 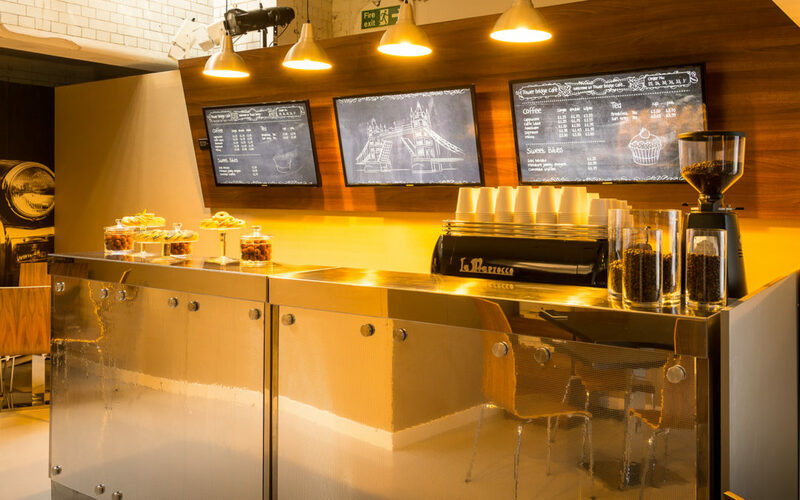 According to a digital screen survey majority of UK retailers (84%) agree that digital signage creates high brand awareness. Furthermore, it helps brands to react quickly to market demands eliminating the need to print and distribute leaflets. Smart CMS (content management systems) have the ability to sync with the brands’ social media platforms – driving customer interaction and delivering results in real-time. The flexibility and opportunity digital signage afford brands is limitless. Brands like Ted Baker, for example, have already realised the potential of digital signage and having proofed concept in London, they have rolled out the concept across their global real estate all managed from a single location. From shelf edge to video walls manufacturers continue to innovate solutions to maximise spaces of all shapes and sizes. And by using cloud-based content management systems like Scala – brands can deliver tailor-made content to individual screens across the entire estate and engage with customers by delivering location specific content. This approach not only helps influence customer behaviour the technology used also provides brands with valuable analytics into how customers are engaging with the content from facial recognition software to how long a consumer engages with the piece of content. Valuable insights to help improve in-store performance. Flexible & Responsive – react to market demands faster and can be applied to multiple sales promotional disciplines from merchandising, promotions to branding. MediaZest is one of the UK’s leading AV solutions experts offering the full breadth of services from concept development, design, installation, maintenance and performance reporting. If you gave a brief or simply looking for inspiration get in touch.